Another lovely month of reading in January. 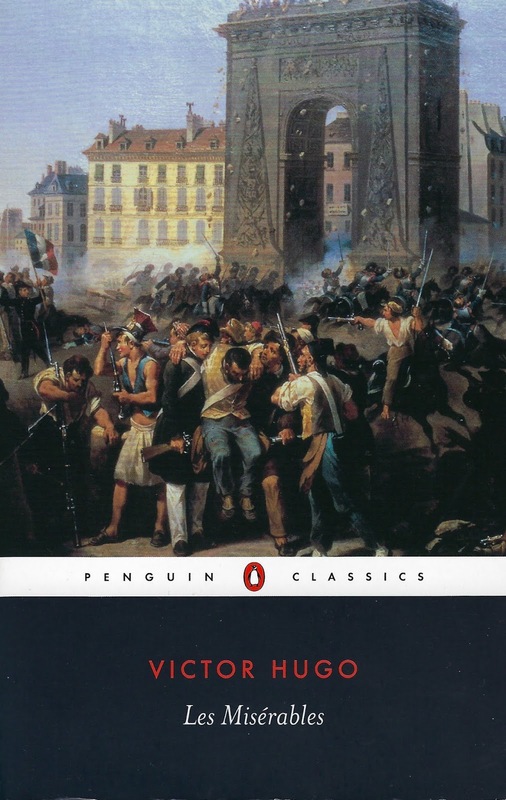 I read ten books: one fantasy, eight mysteries, AND I finally finished Les Misérables. I was feeling pretty bad about taking 13 months to read that book, but when I realized I read 400 out of 1200 pages in December and January, I decided that wasn't so bad. Of the eight crime fiction books, two were set in the UK (England and Scotland), one was set in France, one set in Canada, and the others were set in the US. So, a good bit of variety. Very glad to have finished this book. It started out as part of a chapter a day challenge, but that did not work well for me and I was reading it in e-book format. About a third of the way through I switched to my hardback copy, but that still did not keep me from reading in fits and starts. January was more a month of reading comfort books for me so it wasn't until the end of the month that I got back to the book and finished the last 140 pages. A very emotional section of the book. I am glad I read the book. This is a comic version of an Armageddon novel. 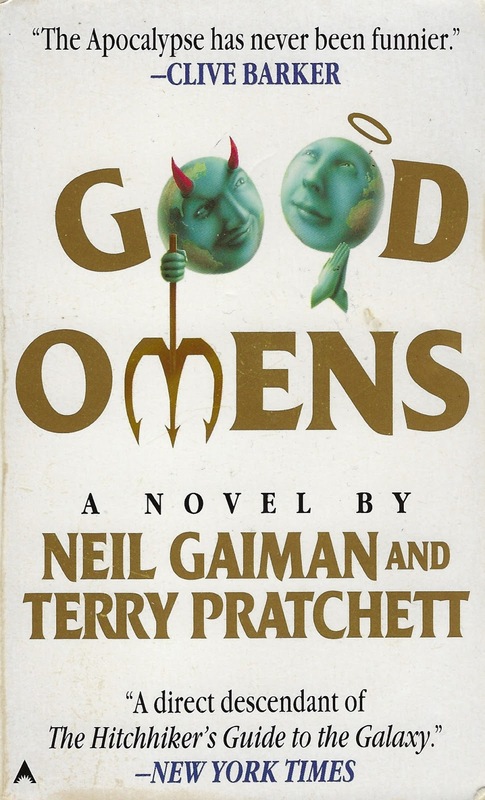 It was written when both Gaiman and Pratchett were at the beginning of their careers. I enjoyed it very much, although I did have problems with an overload of humor. I prefer more subtle humor. The book is often compared to The Hitchhiker’s Guide to the Galaxy and it does have the same style of writing and tone. A very entertaining and fun book. A historical mystery, with a private detective as the likable protagonist, not damaged, but not perfect either. And set in a very interesting time and place: Chicago during Prohibition, early 1930s. I loved the book and the character. My review is here. I liked the first Denise Mina book I read (Garnethill), and this one was also very good. The subject matter was not my favorite; a young child has been killed. However the setting was great: Glasgow in the early 1980's. And the characters are well developed, interesting, not gorgeous with fantastic lives but real people with problems. The 4th book in a series of 11 books about Ruth Galloway, forensic anthropologist. She works with the police in her area whenever bones need to be examined. This series shines because the main characters are unique and the cast of recurring supporting characters get more and more interesting. My first vintage mystery fiction of the year. I was interested in this series, starring Kent Murdock, because he is a newspaper photographer, with a gift for sleuthing. I look forward to reading more by Coxe. 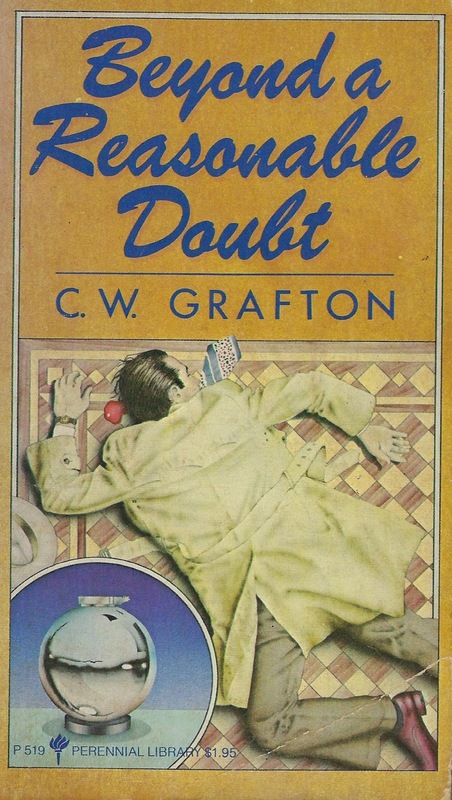 C. W. Grafton was the father of Sue Grafton; he wrote four novels, and three of those were mysteries. This was his last novel, and I believe it is the best known. This book was very different, it is an inverted mystery, and I enjoyed it very much. My review is here. This is the 2nd Jack Reacher novel and there are now 23 books in the series. In the past year and a half I read two other Jack Reacher novels, the 9th (One Shot) and the 18th (Never Go Back). I am amazed at how much I enjoy these books. The writing is nothing special but the author draws me in and keeps me reading and I like the Jack Reacher character a lot. My first Canadian book of the year. Armand and Reine-Marie Gamache are celebrating their 35th anniversary at the Manoir Bellechaise, a former hunting lodge turned luxury resort on the shore of Lac Massawippi in Quebec. For those who are not familiar with Louise Penny's series, Armand Gamache is the head of Homicide at the Sûreté du Québec, and the protagonist of the series. This is the fourth book in the series. It took me a while to warm up to the series, but this book was very, very good. Gilles Sebag is a police inspector in the French seaside town of Perpignan. He has been passed over for promotion throughout his career due to choosing to take a reduction of hours when his children were young. His children are now teenagers and he suspects that his lovely wife may be having an affair. Then a young woman goes missing and the case becomes high profile, demanding most of his time. This was not a perfect book but very interesting and one that provides a good picture of the south of France. I almost think I read The Rat Began to Gnaw the Rope, but if so, it was a long time ago. I am interested in the Coxe book, and will look into it. Very nice writeup of your month of books. I really enjoyed reading it. I will be looking for more books by Coxe, and especially one featuring the photographer, Nan. I found this one fun to read and different. I've read two of the books here - the Penny book and the Griffiths book. Both series are favorites of mine. I haven't read anything by Denise Mina, but her books have been on my TBR for a long time. Maybe at some point. When I read the first book by Denise Mina, I was all set to read more, but it has taken me a while. Too many good books and authors. Based on your reviews and the two I have read, I would say you would like her books, but they are on the gritty side. 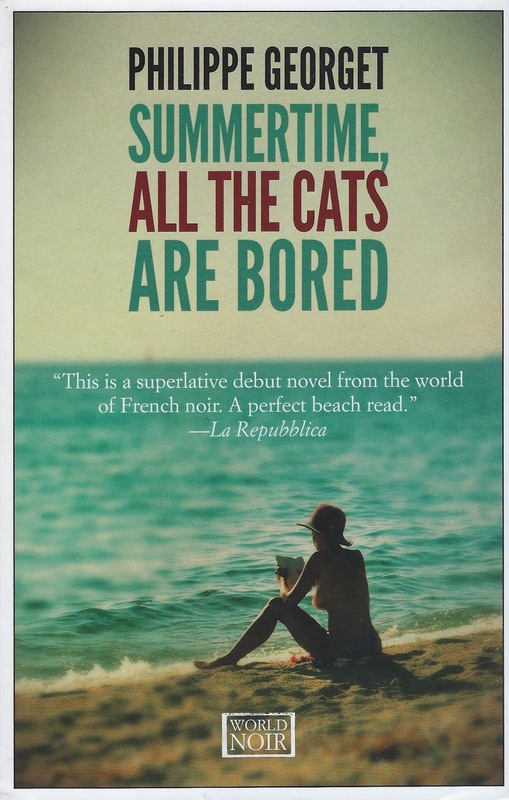 I thought that Gamache novel sounded familiar but not the title. Turns out I read it as The Murder Stone, presumably renamed for the UK or American market. You're right, the characters in the Elly Griffitths books are unique... one of my favourite series. You had a good reading month Most impressed that you got through Les Mis! I did see that the Louise Penny book had that alternate title, Cath. Fortunately past this point there is only one title for all the books. I was impressed that I got through Les Mis, too. I did not realize that it was a story with a lot of detours along the way, although I should have with so many pages. Luckily, it was worth getting all the way to the end. As always, Tracy, I like the variety of books you read, Tracy. And you've reminded me that I still still haven't done a spotlight on Collins' work. I really should! You should do that, Margot. There are so many of his series to choose from. I hope to read the second book in the Nate Heller series soon. Very nice list indeed. Well done. Thanks, Rick. It was a good start to this reading year. Great list. 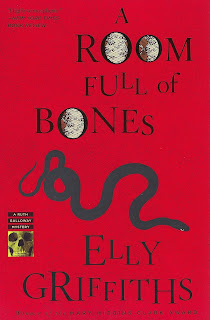 I have just read the latest Elly Griffiths - out next week. And interested in the George Harmon Coxe - I picked up a book by him in NY last year, and will get round to it. It is called Fashioned for Murder and features fashion photography and adverts (so of course I had to buy it!) - sounds similar to yours. I will get through the Ruth Galloway slowly, Moira, can't afford to get them all at once. Never had any luck with those at the book sale, although you never know. That book by Coxe sounds good, based on the summary. Photography and fashion combined, very cool. I remember that I was quite disappointed by Denise Mina's Garnethill (an area of Glasgow that I know well). Glasgow has a very distinctive atmosphere and she didn't manage to convey it. Glasgow without humour just isn't Glasgow, but if you don't know the place then you won't know what's missing. I did enjoy A Room Full of Bones. That is the problem with reading something set with a location that you are familiar with, Katrina. It is hard to ignore things that don't ring true. I don't usually enjoy reading books about the southern US. Sometimes it is because they are too much like the South I remember. Well done, Tracy! 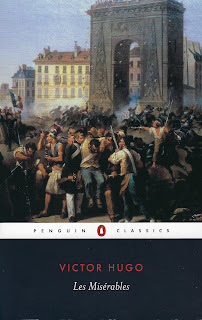 I'd love to read "Les Misérables," one of many Classics I haven't read. You should do it, Prashant. You can stretch it out. There were portions that moved so fast and were very engaging, and others that required more effort. Glad you had a great month and that you enjoyed the Collins book. I must try and read something else by Lee Child, it's been a while. I now have a copy of the second book in the Nathan Heller series, Col, and looking forward to reading it. They are not short books though. I have been totally surprised by how much I like the Jack Reacher books. And they are longer books too.